Investing in Bakersfield Real Estate is something that can be done at any time of your life. Bakersfield Real Estate is one area that allows an investor to cash flow on properties while still experiencing moderate appreciation. Regardless of age, it’s never too late to get in the real estate investment game. One thing needed is drive; the drive to want something better for yourself. If you’re complacent in your current situation odds are you’ll lose interest before you accomplish your goals and quit early. Another item that will help you in getting started as a real estate investor is technology. One great thing about real estate technology today is the amount of information people have at their fingertips. You can gain access to listings via our Bakersfield Real Estate search page, Zillow.com and Realtor.com just to name a few. Another positive note of real estate technology is the ability to sell an investment quickly. Sites like ours that are SEO (search engine optimized) ready will help get your property the exposure it needs. Did you know some properties never make it to the MLS? Have you ever heard the saying the most valuable asset is time? Don’t procrastinate, if investing in Bakersfield Real Estate is something you’re interested in then you need to seize the moment. There are some great deals right now and the “great” deal you see today and want to think about till tomorrow is the same deal “great” someone else saw yesterday and will be making an offer on today. Creating a sound investment plan will help alleviate times like these and keep you on the right track. Along with proper planning comes building strategic partnerships. The rapport you build today with one of our highly skilled Realtors will prove to be a highly valuable connection in the future. You’ll want to build this relationship as soon as you can so your Bakersfield Real Estate Agent can begin sending you the deals you’re looking for right away. 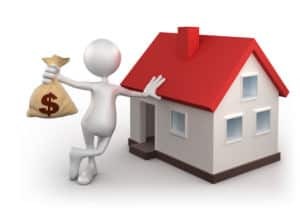 RELATED: Real Estate Investing - Worth It or Not? What type of property should I buy first? This is a question we hear quite a bit and the answer really depends on what your investment strategy is. Whatever the case, it’s a good idea to make your first Bakersfield Real Estate Investment one that’s manageable and of residential in nature. Residential properties are more likely to get rented quickly or if it’s your strategy to flip a property then residential properties also sell quicker than commercial properties. You might also consider REO or Foreclosure Properties in Bakersfield to capitalize on even better deals. Purchasing distressed properties that can be fixed up and sold is a great way to put some quick cash in your pocket. Many investors start by “flipping” properties till they accumulate enough cash to buy a Bakersfield Rental property. 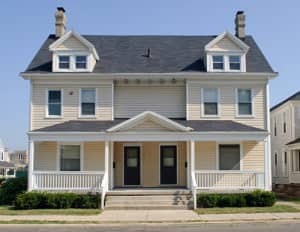 A multi-family property is a property that has more than one address. For instance a duplex, triplex, fourplex and two houses on one lot would all be considered multi-family properties. Buying a Bakersfield multi-family property like a duplex would be a great option for your first investment purchase. Duplexes allow for two rental units but one payment. They also are a great hedge in the event one of the units are vacant, you still have rent coming in from the other unit. I wouldn’t recommend anything more than a duplex as your first investment as you might be biting off more than you can chew when you’re first starting out. One of the best things about multi-family properties under four units is that lenders classify them as non-commercial loans so you can get great interest rates, low down payments and if the property is bought at the right price… great returns! For more information on how to get started investing in Bakersfield real estate, please feel free to contact us or leave a comment below. We’d appreciate the opportunity to assist you.